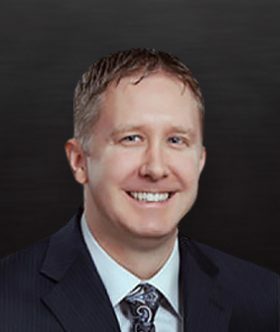 Brad Odell is a partner who focuses his practice in the areas of bankruptcy, creditors’ rights, state and local tax, and general commercial litigation. Brad has represented debtors, creditors, trustees and creditor committees in complex Chapter 11 bankruptcy cases. He handles cases involving motions to sell assets of the estate, approve debtor in possession (DIP) financing and confirmation of Chapter 11 and Chapter 12 plans of reorganizing. He has litigated bankruptcy claims for fraudulent transfers, preferential transfers and objections to discharge. During the 2015 New Mexico legislative session, Brad served as the department’s tax policy director and testified before the legislative committees on tax bills and other legislation that impacted the department. Brad also served as the law clerk to the Honorable Robert L. Jones for the Northern District of Texas, Lubbock Division. Brad earned his J.D and M.A in business administration from Texas Tech University, where he graduated with honors. Brad is licensed to practice law at the state level in Texas and New Mexico and is also admitted to practice before the federal district courts and bankruptcy courts for the Eastern, Northern, Southern, and Western Districts of Texas as well as the U.S. Court of Appeals for the Fifth Circuit.